EXCLUSIVE Yesterday was the finale of the London International Custom Bike Show, the UK round of the AMD World Championship. 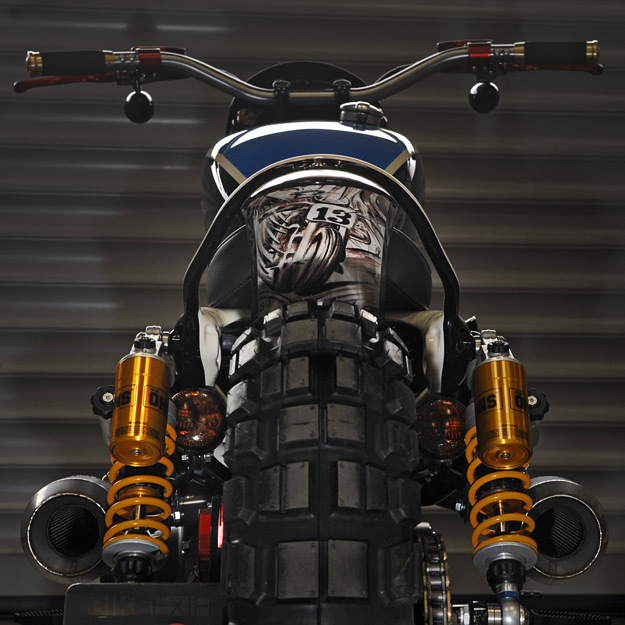 So here’s a first look at the most interesting bike, the ‘XLST3’ from Shaw Speed & Custom. 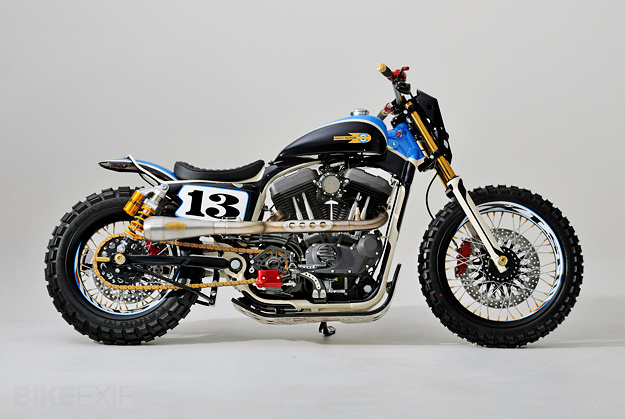 SS&C is the custom workshop of an East Sussex Harley dealer, and the south coast boys were the big winner on the night—with this Harley-Davidson Sportster and a second entry (‘Nascafe Racer’) coming first and second in the Modified Harley-Davidson class. 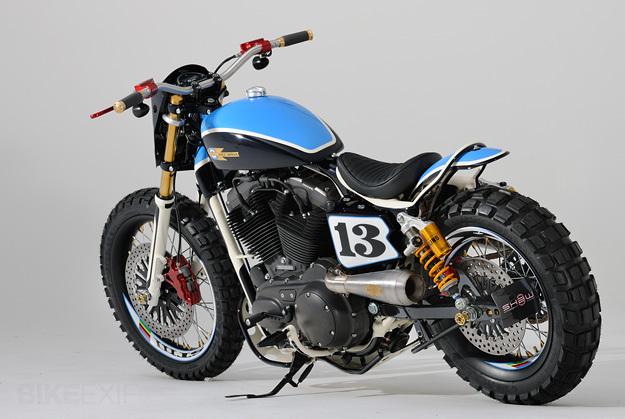 XLST3 is based on a 2011-model Sportster XL1200N, with several key mods. 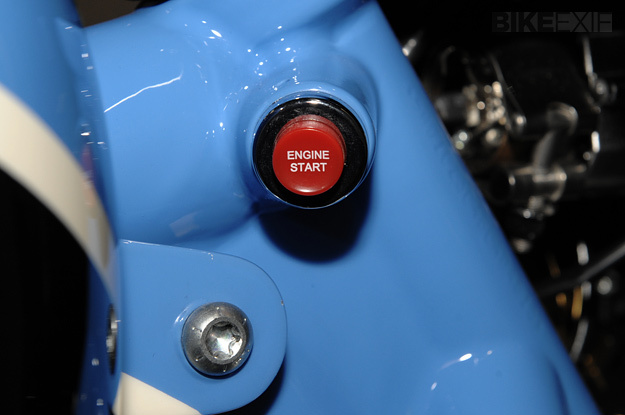 The bike sports a custom exhaust system—built in-house—and has also been converted to chain drive. 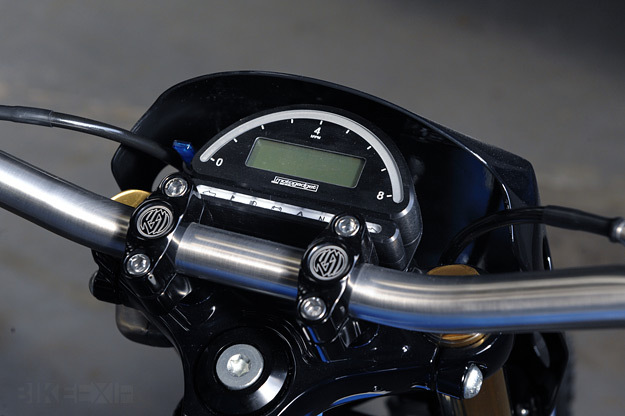 The stock front end has been fettled with titanium nitrided forks, progressive springs and XL883 fork lowers. 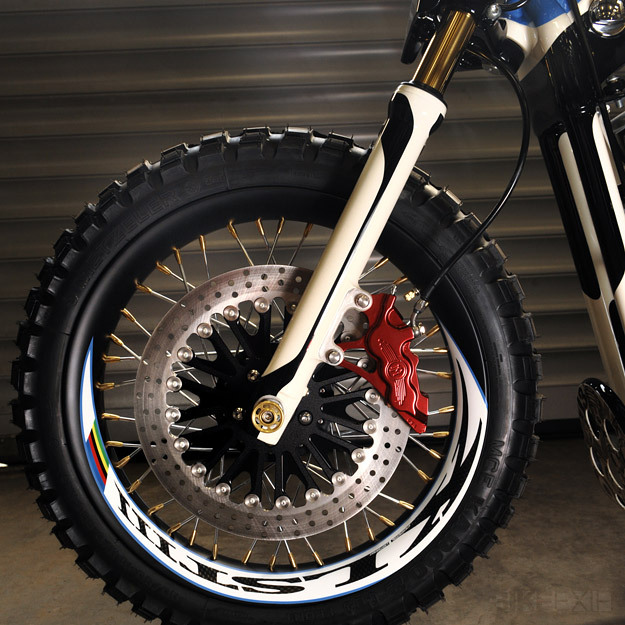 A braced swingarm and Öhlins shocks keep the back wheel planted, and a Performance Machine brake system is hooked up to Roland Sands Design Black Ops brake rotors. The frame has been tidied up, the engine cases anodized, and the gas tank is from RSD too. The finishing touch is the lustrous paintwork from Image Design Custom. If you’re in the States, there’s a good chance you’ll see this Sportster at Sturgis: according to Shaw’s Steve Willis, “We’re aiming to get into the AMD World Championship final again this year, to defend the title that we won in 2010 with the bike Strike True II.” Who knows if the bike can win when pitted against the combined might of the US Harley custom scene? I’d like to think it has a good chance.